On this day, 25 years ago, the oil tanker Exxon Valdez struck a reef and 40.000 tons of crude oil (or 0.3% of today’s world daily production) spilled into the ocean, leading to one of the largest human-caused environmental disasters. After only one week, 90 miles of coast were affected, and after two months roughly 400 miles. In the aftermath of this event, several environmental laws were passed, like the Oil Pollution Act of 1990. But the main question at that time was about Contingent Valuation (CV). CV tries to estimate the non-market value of goods. 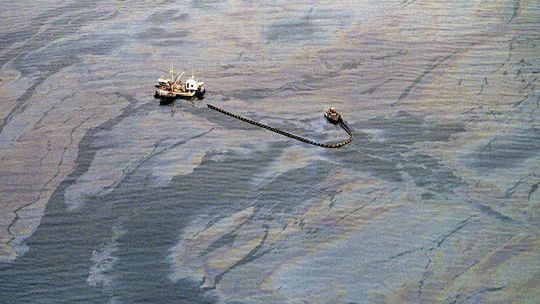 Obviously, since the beaches and the ocean do not have a price attached to them per se, it was important to quantify the costs of the Exxon Valdez oil spill on these natural resources. A regulation that had just passed a couple of years before that, the Comprehensive Environmental Response, Compensation, and Liability Act of 1980, gave the US government the right to sue for non-market values. But what really is the non-market value of “100,000 to as many as 250,000 seabirds, at least 2,800 sea otters, approximately 12 river otters, 300 harbor seals, 247 Bald Eagles, and 22 orcas, and an unknown number of salmon and herring,” as well as an oil spill that “covered 1,300 miles (2,100 km) of coastline,and 11,000 square miles (28,000 km2) of ocean” with significant amounts of oil still being found as of today? After several court rules, appeals, re-appeals, judgements, re-judgements, as of Dec 2009, Exxon “paid all owed $507.5 million punitive damages, including lawsuit costs, plus interest,” and had spent “an estimated $2 billion cleaning up the spill and a further $1 billion to settle related civil and criminal charges.” I could not find information on the non-market value that the CV had estimated, but it would certainly be interesting to know what number the US government came up with. In any case, after the Exxon Valdez disaster, the Department of Commerce organized a panel discussion to address the following question: Can CV give reliable estimates of non-market values? And if you really want to know how the CV methodology is holding up these days, you should go over to our cromulent 🙂 defenders and main contributers to the CV method in environmental economics at http://bit.ly/1afYAGY. What is clear is that, after now 25 years of substantial efforts, CV has become a tool of even mainstream economists and is THE tool to quantify non-market values. Only through a disaster do we tend to become aware of the value of what we have affected or lost. We then try to place a price on it and hope that it corresponds to this value. But the point is that through the disaster we have already lost what we have just valued. It might thus be reasonable to invoke the precautionary principle for any technology that potentially leads to extreme consequences until a thorough Cost-Benefit Analysis has been undertaken. The Exxon Valdez is the base of the Smokers in Waterworld.